The Legislative Health Policy Fellows Program will provide participants with the data and resources needed to make effective decisions about the health of our state. Over the course of three full-day sessions during the Winter/Spring of 2018, participating General Assembly members will learn about the health issues facing North Carolina, the state’s priorities for health care delivery, and challenges and opportunities for improving the health of all North Carolinians, with a focus on evidence-based solutions. Participants will also have opportunities to network with health policy researchers, state agency staff, and legislative colleagues. The program will be held in alternating years. Please check back for more information on our fall 2019 session. In spring 2019, we will hold 2 Health Policy Briefings for interested legislative staff (including legislative aides and research division staff). Over 2 sessions, NCIOM will provide an overview of health policy and structure, urgent health issues facing North Carolina, the state's priorities for health care delivery, and challenges and opportunities for improving the health of all North Carolinians. Please click here for more information and to register. 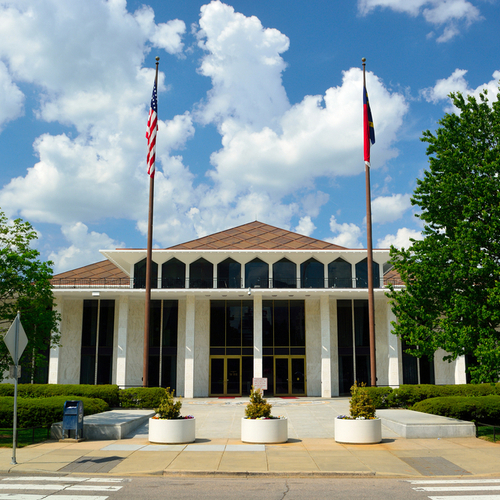 Given the large portion of the state budget dedicated to health care and health related services, decisions regarding health policy have tremendous impact on North Carolina’s economy and the health of individuals and communities. The program will provide General Assembly members with resources needed to make effective decisions about the health of our state. This program is supported by the Blue Cross and Blue Shield of North Carolina Foundation, Cone Health Foundation, the Duke Endowment, and the Commonwealth Fund. Program sessions will include presentations and panels from health policy experts, policymakers, and nationally renowned guest speakers. NCIOM staff will work with participating legislators to prioritize special topics of interest and to ensure a balance of formal presentations and informal discussion and networking time. Participants will also select at least two topics for future research and publication by the NCIOM as issue briefs. The first issue brief will be presented to participants and other legislators at a breakfast where Legislative Health Policy Fellows will be recognized and awarded with certificates of completion. All sessions will be held at NCIOM, 630 Davis Drive, Suite 100, Morrisville, NC 27560. The Legislative Health Policy Fellowship Program is best suited for early career legislators (those in their first three terms) but is open to all legislators who want to learn more about available health policy resources.